Church Plays is a God given book which is comprised of 21 short plays and skits. Each play is ministering and entertaining while delivering a profound message. It will make you laugh and cry. This book will bless the readers, performers and the directors. You won’t be able to put it down and will never be the same in Jesus Name. A few of the titles are You Had Better Praise Him (A young man with a drinking problem at the end of his rope is visited by the Devil), Pearls (A single lady is beguiled by Mr. Casanova later finds out she is pregnant and HIV+), God I Ain’t Mad At You (A mother loses her child to cancer), and The Christmas Star (An old homeless bag lady brighten Christmas for a mother and her three children). 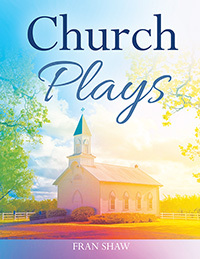 Although this book is titled Church Plays, any audience will enjoy these delightful heart felt plays. These plays are a must see and the book is a must read. Ms. Gertrude Francis “Fran” Shaw is first and foremost a child of God. She is a retired RN and was also a Flight Nurse with the Mississippi Air National Guard. She is a two time breast cancer survivor and is very grateful to be alive. Fran cherishes the love of her family of four brothers, three sisters-in-law and sixteen nieces and nephews. She love going to church, singing, spending time with friends, travel, plays and movies. 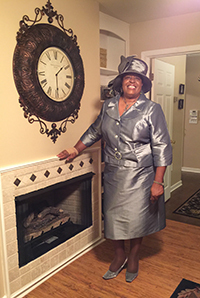 She is an anointed speaker and is presently working on her next book, Messages From God by Fran Shaw.